Don't forget your Fortnite FREEbie! 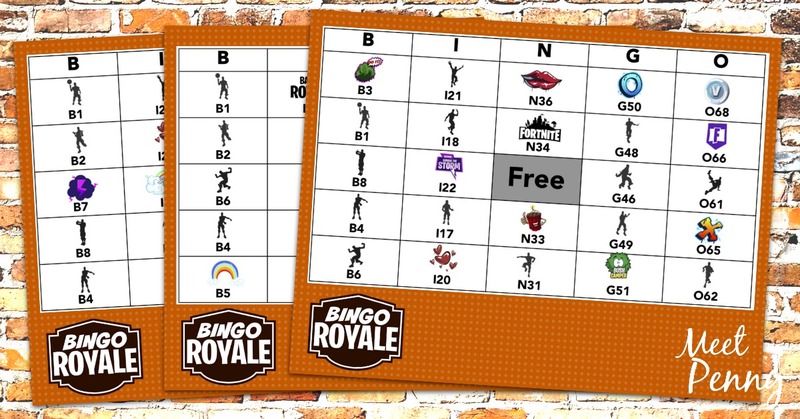 Subscribe for the newsletter and receive the printable FORTNITE-inspired Bingo Game for FREE! Should your children play Fortnite? How do you know? Is Fortnite bad for kids? This Fortnite review for parents details the pros and cons for letting your children play this combat video game. I will admit when I first heard about the Fortnite video game, I was extremely apprehensive. People shooting people? Enough said. Fornite… bad for kids. So, I avoided exposing my children to Fortnite. But, like most things, Fortnite crept into our home through others who were playing and loving the game. It wasn’t long before my children were seated in front of our Nintendo Switch watching a sibling choose weapons and fight to become the last person standing in Battle Royale. Is Fortnite safe for our kids? Deciding whether or not Fortnite is safe for all kids everywhere is not my place. Every family… every child… is so completely different that parents must make this assessment on his or her own. Loads of parents have different opinions. Despite the different modes of play, the object of the game remains the same… Be the final player (or team) alive. In order to achieve a Victory Royale, you must use strategy, building skills, and weapons mastery to kill all the other players in the game. A player can choose from playing solo, duos, squads (four people), or 50 versus 50. When a player joins a team, they can communicate with one another using a headset. Don’t choose to be oblivious. Don’t send your child to their room to play and just hope for the best. Know how to play the game and who your child is playing with online. My husband and I watch our kids play Fortnite on the television in our living room. (We only have one TV in the entire house.) We even had the kids teach us to play too. Watching the game isn’t enough. Have a conversation with your child about Fortnite. Why does he play? What is his or her favorite part? How does she feel about shooting people in the game? On one hand, I agree with him. No one bleeds in Fortnite, although a medical kit or bandages are required to restore health to an injured player. But, you never see the result of your attack in a physical way. The only evidence that you are damaging your opponent is the numeric variable that displays when the opponent is injured. For instance, if the other player is using a shield for protection when you shoot him, a blue number will pop up. Once the shield is emptied, the number appears in red. Fortnite is violent. Just talking about head shots and guns is enough to communicate that the very foundation of the game is violence, even if it is candy-coated. A “head shot” is the most powerful but the impact varies based on the type of weapon used. Which brings me to the part where I disagree with my son. Does that make Fortnite bad for kids or do they see the same amount of violence (or more) on the evening news? Every parent must make this decision for their children. Upon logging in to Fortnite, you are in a holding area where you can interact with other players using “emotes,” or dances and signs. Once enough players have gathered virtually to play, the “battle bus” departs and the game begins. When a player is eliminated, they return to the waiting area to either play again or exit the game. In my son’s mind, the players inside the game are just that… characters playing a game and not real people. The idea of “characters” is reinforced since players can choose different “skins” or costumes and equipment to define their character’s personality. My husband and I have taught our children about gun safety. While we personally do not own guns (aside from a couple of bb guns), we are not opposed to them. We are also very aware that our neighbors do own guns and we want our children to understand that guns are not toys. Hearing my son talk about the difference between Fortnite guns and reality is reassuring… but it still leaves me nervously wondering if Fortnite is safe for kids to play. Prior to Fortnite, he did not know the names for guns and weapons. Now, he knows which guns are best for close action and long range. He talks about RPGs and remotely detonated C4. He strategizes how to “snipe” an opponent. Not exactly the kind of conversation this mom wants to have around the dinner table. Is your child becoming addicted to Fortnite? How long is he playing each day? Has she lost interest in other hobbies? Does he become aggressive when you ask him to stop playing? Has she withdrawn from the rest of the family? Any changes in your child’s emotions or behavior could reflect a dangerous attachment to Fortnite. Also, what is your child’s attitude when playing the game? Does making a kill excite him? What kind of things does she say when in combat? Listen to your gut and trust your instincts to protect your child. Only you can know if Fortnite is safe or a bad influence on your child. As much as there is about Fortnite to make me cringe, there are other details that make me smile. Since we only have one television, our children are forced to take turns playing Fortnite. While this comes with its own set of “It’s my turn! He played longer than me!” it also means my children are more aware of how long they have been sitting in front of the television… because their siblings are watching the clock. “Don’t chase the guy! Hide and survive.” <<– My advice to my oldest son as he plays Fortnite. Does he listen? Nope. He would rather chase down and opponent and risk failure than to let than to lay low. But I’m glad he does because it gives me the ideal opportunity to teach him that his choices have consequences. Chase the guy and risk dying. Or lay low and let him face another opponent. It’s definitely like life. You have to choose your battles wisely. Know what is worth fighting for and when you should just let it slide. I have always known that my oldest son had leadership ability, but listening to him chat with a squad of Fortnite players… confirmation. He makes a plan, gives orders, gently reprimands as needed, and gives accolades when they are earned. Observing his Fortnite games yields many opportunities to guide him as he grows into a leader. Fortnite gives players the ability to report foul behavior. Of course, my children detest coarse language and will not engage with other players who curse. If they accidentally enter a match where someone is being mean, they can mute the speaker or report the player. If there is a risk for my children to be exposed to foul language or aggressive behavior, why would I allow them to play Fortnite? Shouldn’t I just delete the game from our Nintendo Switch or “be the parent” and refuse to let them play? I totally could. And if you feel this is necessary for your family, do it. In our home, banning our kids from playing Fortnite when it is so wildly popular and played by all of their friends would result in a cornucopia of behavior issues. My children would be resentful towards me, which doesn’t scare me but it would hinder the openness in our relationship. Banning leads to lying and sneaking around behind my back to do what they want to do. I would rather be involved in what my children love and use it to teach them life lessons than forbid them to play. Avoiding Fortnite would also cause them to feel isolated from their friends who are all talking about and playing the game. We have a lot of changes happening in our lives and allowing them to have something in common with their friends gives them a social connection to help bridge these other challenges without feeling alone. How do you feel? Is Fortnite bad for kids? Why or why not? Leave a comment. I would love to know how you came to your decision because I learn so much from other parents just like you. Thanks for this review. My son (12) just started playing Fortnite. I watched him play last night because his video game station is also in our living room. He had some of the same responses your son had about it not being killing and it’s not bloody and mom it’s just a game. So, I digress, I let him play. I attended a filmmaker’s conference a few months ago and had a lengthy chat with one of the executive producers at ESPN Sport game. I forget the name of the brand, but we talked about the violence in video games and he said something that I had already come to accept as true, our children are less sensitive to violence than I was 30 years ago. Our culture is different. They don’t see it and process it in the same way. It is important to know your child and what they can take and not overexpose them to too much of the same thing, so being present in video game play is important. Thanks for the review. This is a great review! I agree that every family has to approach this differently and what works for them. For our household we treat it the same as movies. We have reinforced over and over how movies/tv shows/video games are NOT real. How it’s pretend and something to be enjoyed as entertainment but not real life. Sometimes I catch my kids watching something scary on YouTube and they say ‘don’t worry mom it’s not real!’ My son plays fortnite on the extra house cell phone and after knowing how he views things I’m perfectly okay with it! I’m glad other parents take the same approach. Entertainment is so different from when we were kids and I feel like you have to somewhat adjust with the times and this works for us! I think just talking about 5 year olds or younger or any child under the age of 16 playing this game being a positive thing is wrong. It is still teaching violence and my children actually don’t have a desire to play it, gore or not, truly because they don’t want to play games where you shoot people. What is going on in our country and what has gone on with school shootings and other shootings it is just not a great game to be taking over our homes. We should have a more positive non-violent family game brainwashing our kids and parents. This is my opinion and I can’t believe how many parents say they won’t let their kids play it and then give in and try to justify why by throwing their morals out the window. I totally understand and appreciate your opinion. I waffle back and forth on it daily. But, the conversation with my son reminds me that he has a mature perspective. For him to say, “Mom, guns are not toys and you shouldn’t shoot people in real life. This is just a game and you aren’t really killing anyone…” makes me relax a little bit. And the game has not changed his behavior. If I see his attitude turn, YES. The game will go. For now, we are keeping the conversation open and using it to teach leadership, right versus wrong, and reality versus imagination. Finally someone agrees with me about kids playing Fortnite and its changing their lives! it does not change their lives people! video games are not the cause of school shootings all of you stupid parents are trying to ruin fortnite all of you are paranoid and overprotective its just a game god you don’t have to say fortnite is bad it causes to kill people in real life you know what parents I’m a kid and when I grow up I’m going to let my kids ill let him or her play video games but have limits on him or her, im pretty sure a kid is gonna have some common sense not to shoot someone and fortnite is a fun game there is nothing wrong with you stupid parents. my grandson plays this game, at least he thinks he is playing it. because he is autistic we watch all games he plays. he is never allowed on chat, as I don’t know who may be lurking out there, and we monitor all games he watches or plays. we are new to fortnite, and he enjoys talking back at the game, which is his idea of playing. we emphasize it is not real, and that actually shooting someone can kill them. we will continue to monitor everything he does, as he is mod/severe autistic, but he enjoys role play and talking at the game. thank you for the insight on this game, I think it is a parents responsibility to monitor everything a chid does on-line, boundaries are essential in any aspect of life, and knowing those boundaries makes for a more responsible child.